This End-User License Agreement (the "Agreement") between Schools Insurance Program for Employees, a California joint powers authority ("SIPE"), and the individual who is viewing this Agreement ("you," "your," "End User," or "User") shall be effective before your accessing any of the SIPE computer software, the SIPE courseware which contains SIPE content and content supplied to SIPE by third parties, hosting services, and associated documentation, media, printed materials and "online" or electronic documentation, and other content and updates thereto made available by SIPE (collectively, the "SIPE Products"). BY ACCESSING THE SIPE PRODUCTS, YOU ARE INDICATING YOUR ASSENT TO THE TERMS AND CONDITIONS OF THIS AGREEMENT. YOU SHOULD READ ALL THE TERMS OF THIS AGREEMENT CAREFULLY. YOU WILL BE ASKED TO REVIEW AND ACCEPT THE TERMS OF THIS AGREEMENT. THIS AGREEMENT REPRESENTS THE ENTIRE AGREEMENT BETWEEN YOU AND SIPE REGARDING YOUR USE OF THE SIPE PRODUCTS AND SUPERSEDES ANY PRIOR PROPOSAL, REPRESENTATION OR UNDERSTANDING BETWEEN THE PARTIES. IF YOU ARE A NEW USER TO THE SIPE PRODUCTS AND YOU AGREE TO BE BOUND BY ALL THE TERMS OF THIS AGREEMENT, CLICK THE "I ACCEPT" BUTTON INDICATED DURING THE NEW USER REGISTRATION PROCESS AND BEGIN VIEWING THE SIPE PRODUCTS. YOUR ACCEPTANCE OF THIS AGREEMENT SHALL CONTINUE IN FULL FORCE AND EFFECT, AS APPLICABLE, FOR THE TERM OF YOUR EMPLOYER'S SERVICES CONTRACT (AS DEFINED IN SECTION 4 BELOW) WITH SIPE, UNLESS SOONER TERMINATED. IF YOU DO NOT AGREE TO BE BOUND BY ALL THE TERMS OF THIS AGREEMENT, SIPE IS UNWILLING TO LICENSE THE SIPE PRODUCTS TO YOU AND YOU MUST STOP ACCESSING THE SIPE PRODUCTS IMMEDIATELY. NOTWITHSTANDING THE FOREGOING, FOR ALL NEW AND RETURNING USERS ACCESSING THE SIPE PRODUCTS INDICATES YOUR ACCEPTANCE OF ALL OF THE TERMS CONTAINED IN THIS AGREEMENT. 1. License. To accommodate your access to the SIPE Products and subject to you regular, timely payments of all appropriate license fees, SIPE grants to you, and you accept, a personal, limited, non-exclusive, non-transferable, revocable license (the "License") to Use (as defined herein) the SIPE Products and to use the instructions or documentation that may accompany the SIPE Products (collectively, the "User Documentation"), if any, for professional purposes and only as authorized in this Agreement. For purposes of this Agreement, the term "Use" means viewing, storing, executing or displaying the SIPE Products on a device. The SIPE Products must be accessed from the SIPE Web site. If the SIPE Products are being licensed for hosting by you, you may Use one copy of the Products only on a single computer and a single terminal, work station or other device for which the SIPE Products were designed ("Computer") solely for development of Internet-based training applications relating to your or your employer's business and you may install and execute the SIPE Products solely in executable code form (which means the fully compiled version of a software program that can be executed by a computer and used by you without further compilation) for your personal Use at your employer's facilities as may be needed for you to develop, deliver and support computer-based training applications relating solely to your or your employer's business. It is expressly intended that the SIPE Products will be Used for legal business practices only. 2.1. The License granted hereunder is personal to you. You may not transfer any of the rights granted to you under this Agreement, nor may you permit third parties to benefit from the Use or functionality of the SIPE Products. Any attempt by you to transfer any of the rights, duties or obligations provided in this Agreement shall be void and may result in SIPE's immediate revocation of the License and the termination of this Agreement. 2.2. You may not modify, adapt, create derivative works from, market, deliver, rent, lease, sublicense, make, have made, assign, pledge, transfer, sell, offer to sell, import, reproduce, distribute, publicly perform, publicly display, or otherwise grant rights to the SIPE Products, or any copy thereof, in whole or in part, except as expressly provided in this Agreement. You may not reverse engineer, disassemble, decompile, or translate the SIPE Products, or otherwise attempt to derive the source code, structural framework or the data records of the SIPE Products or otherwise reduce it to human-perceivable form, or authorize any third party to do any of the foregoing. You may not loan, resell or distribute for profit the SIPE Products, or any part thereof. You may not remove any proprietary notices or labels from the SIPE Products. Where you may have other rights under statute, you must provide SIPE with reasonably detailed information regarding any intended disassembly or decompilation. 2.3. During the term of this Agreement, for so long as you are a SIPE member or an authorized employee of a paid subscriber, you shall have the limited right to print or photocopy the SIPE Products or User Documentation available online and to give such copies to another authorized person only for client training purposes relating to your or your employer's business. You may not duplicate the SIPE Products by any other means, including electronic transmission, except as expressly set forth herein. If you are hosting the SIPE Products, you may store or install a copy of the SIPE Products on a storage device, such as a network server, used only to install or run the SIPE Products on your other computers over an internal network. WITHOUT LIMITING THE FOREGOING, COPYING OR REPRODUCTION OF THE SIPE PRODUCTS TO ANY SERVER OR LOCATION FOR FURTHER REPRODUCTION OR REDISTRIBUTION IS EXPRESSLY PROHIBITED. 3. Ownership and Intellectual Property Rights. 3.1. Rights Reserved by SIPE. This Agreement grants you limited rights to Use the SIPE Products, which can be revoked in accordance with Section 5 of this Agreement. You acknowledge and agree that you have no right to Use the SIPE Products except as set forth in this Agreement. The SIPE Products (including but not limited to all copyrights, patents, patent applications, trade secret rights, trademarks, source code, text and any images, photographs, icons, graphics, animations, video, audio, music, and all other media incorporated into the SIPE Products) are the property of SIPE and/or its licensor(s) and are protected by U.S. and international copyright and other intellectual property laws and treaties. Third party suppliers are intended beneficiaries under this Agreement and may protect their rights directly against you in the event of any infringement. The SIPE Products are licensed, not sold, to you for Use only under the terms of this Agreement. SIPE retains all rights, title and interest in and to the SIPE Products and User Documentation and all copies thereof, including copyrights, patent, trade secret rights, trademarks and other intellectual property rights. All rights not specifically granted in this Agreement, including Federal and international copyrights, are reserved by SIPE. The structure, organization and code of the SIPE Products are valuable trade secrets and confidential information of SIPE. SIPE reserves the right to modify or terminate any of its services and/or SIPE Product offerings at any time without notice to you. 3.2. Copyright Notices. You must reproduce all copyright notices and other proprietary legends in or on the original SIPE Products on all permitted copies as provided in this Agreement. You may not remove from the SIPE Products, or alter, any of the SIPE trademarks, trade names, logos, patent or copyright notices or markings, or add any other notices or markings to the SIPE Products. 3.3. Trademarks. SIPE and other SIPE brands referenced in the SIPE Products are trademarks or service marks of SIPE. Other product and company names mentioned in the SIPE Products may be the trademarks or service marks of their respective owners. No right, license or interest in such trademarks is granted hereunder, and you agree that no such right, license or interest shall be asserted by you with respect to such trademarks. 4. Term. Subject to the regular, timely payments of all appropriate license fees, your right to Use the SIPE Products will commence on the date you first register to Use the SIPE Products and this Agreement becomes effective. Notwithstanding the foregoing, the commencement date and term of the License granted in this Agreement shall be determined by the date indicated in your or your employer's services contract (the "Services Contract") with SIPE for the Use of the SIPE Products. This Agreement and the License granted herein shall terminate on the earlier of the following: (a) the close of business (California local time) of the last day that you are granted access to the particular SIPE Product that you licensed; or (b) the close of business on the last day of the term provided in the Services Contract. 5.1. Termination by Your Employer. You acknowledge and agree that your right to Use the SIPE Products may be terminated by your employer in accordance with the terms and conditions of the Services Contract. 5.2. Termination by SIPE. SIPE reserves the right to terminate this Agreement for any reason upon thirty (30) days' prior written notice to you. Notwithstanding the foregoing, this Agreement will terminate automatically and without notice from SIPE or any judicial resolution, if, in SIPE's sole discretion, you fail to comply with any provision of this Agreement or the Services Contract. This Agreement will also terminate automatically upon the expiration of the term of the Services Contract. 5.3. Effect of Termination. In the event of a termination or expiration of any agreement between SIPE and a third-party supplier of content, your right to access and Use the SIPE Products shall expire, and SIPE will deactivate your access to all aspects of the SIPE Products. 6. Third-Party Sources. You acknowledge that the SIPE Products may incorporate information that is proprietary to one or more third party(ies). Such third party(ies) and SIPE suppliers are third party beneficiaries of this Agreement with the authority to enforce those portions of this Agreement that are relevant to the agreements they have with SIPE directly against you. 7. Customer Service. Customer service will be available to you from 8:00 a.m. to 4:00 p.m. Pacific local time, Monday through Friday by calling toll-free (877) 460-0714. SIPE's customer service representatives shall not be responsible for answering any questions relating to your personal computer's hardware or other software. Questions of this nature should be directed to your employer's staff for responses. 8. Confidentiality and Security. You are solely responsible for the confidentiality of your username and password (collectively, the "Password") which will accommodate your access to and Use of the SIPE Products. You acknowledge that your Password is designed to protect you and the integrity of the SIPE Products. If you believe the integrity of your Password has been compromised, you are responsible for immediately taking steps to protect your self by changing your Password, notifying your employer, and correcting any unauthorized changes. 9.1. Express Warranty. SIPE warrants to you that, for the term of this Agreement, the SIPE Products will be free from material defects. SIPE's entire liability and your sole and exclusive remedy under this Agreement for a material defect in the SIPE Products shall be the repair of a material defect in the particular SIPE Product. To the extent the SIPE Products are modified, adjusted, refined or otherwise manipulated in any way by any entity other than SIPE or SIPE's authorized agent(s), the warranties contained in this Section 9.1 shall become immediately null and void. 9.2.1. WARRANTY DISCLAIMER. THE SIPE PRODUCTS AND THEIR FUNCTIONALITIES ARE PROVIDED TO YOU ON AN "AS IS" WITH ALL FAULTS BASIS AND WITH NO WARRANTY EXCEPT THE EXPRESS WARRANTY SET FORTH IN SECTION 9.1 ABOVE. SIPE, ITS SUBSIDIARIES, AFFILIATES, DISTRIBUTORS, DIRECTORS, OFFICERS, MEMBERS, DISTRICTS, EMPLOYEES, AGENTS, SUPPLIERS, VENDORS, LICENSORS, DISTRIBUTORS, SUCCESSORS AND ASSIGNS SPECIFICALLY DISCLAIM ANY IMPLIED WARRANTIES OR CONDITIONS OF MERCHANTABILITY, SATISFACTORY QUALITY, NON-INFRINGEMENT, TITLE, ACCURACY OF INFORMATIONAL CONTENT, FITNESS FOR A PARTICULAR PURPOSE. SIPE WILL USE COMMERCIALLY REASONABLE EFFORTS TO GUARD AGAINST VIRUSES (AS DEFINED IN SECTION 9.2.3 BELOW) IN CONNECTION WITH THE SIPE PRODUCTS. NOTWITHSTANDING THE FOREGOING, WITHOUT LIMITATION, YOU ASSUME SOLE RESPONSIBILITY AND THE ENTIRE RISK OF USING THE SIPE PRODUCTS TO ACHIEVE YOUR INTENDED RESULTS AND FOR THE QUALITY AND PERFORMANCE OF THE SIPE PRODUCTS. ANY USE OF THE SIPE PRODUCTS IS ENTIRELY AT YOUR OWN RISK, INCLUDING THE RISK FOR SELECTING THE SIPE PRODUCTS TO ACHIEVE YOUR INTENDED RESULTS AND PERFORMANCE, AND FOR INSTALLATION AND USE OF THE SIPE PRODUCTS. SIPE MAKES NO WARRANTY THAT THE SIPE PRODUCTS WILL ALWAYS BE AVAILABLE, ERROR-FREE OR FREE FROM INTERRUPTIONS OR OTHER FAILURES. SIPE MAKES NO WARRANTY THAT YOUR USE OF THE SIPE PRODUCTS WILL MEET YOUR REQUIREMENTS OR FUNCTION IN ACCORDANCE WITH RELATED DOCUMENTATION IN EVERY COMBINATION OF HARDWARE PLATFORM, SOFTWARE ENVIRONMENT AND PRODUCT CONFIGURATION. Some jurisdictions do not allow exclusions of implied warranties or conditions, so the above exclusion may not apply to you to the extent prohibited by such local laws. 9.2.1.1. NOTE. EXCEPT TO THE EXTENT ALLOWED BY LOCAL LAW, THESE WARRANTY TERMS DO NOT EXCLUDE, RESTRICT OR MODIFY, AND ARE IN ADDITION TO THE MANDATORY STATUTORY RIGHTS APPLICABLE TO THE LICENSE OF THE SIPE PRODUCTS TO YOU; PROVIDED, HOWEVER, THAT THE UNIFORM COMPUTER INFORMATION TRANSACTION ACT (OR ANY STATUTORY IMPLEMENTATION OF IT) AND THE UNITED NATIONS CONVENTION ON CONTRACTS FOR THE INTERNATIONAL SALE OF GOODS ARE SPECIFICALLY DISCLAIMED AND SHALL NOT GOVERN OR APPLY TO THE SIPE PRODUCTS PROVIDED IN CONNECTION WITH THE WARRANTY STATEMENT CONTAINED IN THIS AGREEMENT. 9.2.2. ACCURACY; CONTENT. SIPE IS NOT RESPONSIBLE FOR THE ACCURACY OF ANY OPINIONS, ADVICE, REPRESENTATIONS OR INFORMATION CONTAINED IN THE SIPE PRODUCTS OR FOR ANY DATA INPUT BY YOUR EMPLOYER OR ITS AUTHORIZED LICENSEES, OR ANY THIRD PARTY'S RELIANCE THEREON. You acknowledge and agree that: (a) SIPE may, from time to time, elect to update the SIPE Products, but SIPE does not warrant or guarantee that any SIPE Products will be updated, or that any updates will be made available to you, at any time during the term of this Agreement; (b) SIPE does not assume, and expressly disclaims, any obligation to obtain and include any information in the SIPE Products; (c) SIPE is not advocating the use of any product described in the SIPE Products (or elsewhere), nor is SIPE responsible for misuse of a product due to typographical or other errors in the SIPE Products, your negligence or otherwise; (d) you agree to seek additional information on any product not provided by SIPE from the product's manufacturer; and (e) you will use the content included in the SIPE Products only as a reference aid, and that such content is not intended to be (nor should it be used as) a substitute for the exercise of professional judgment. In view of the possibility of human error or changes in technology, you should confirm the content in the SIPE Products through your own independent sources. 9.2.3. VIRUSES. ALTHOUGH SIPE USES COMMERCIALLY REASONABLE EFFORTS TO GUARD AGAINST VIRUSES, SIPE STRONGLY RECOMMENDS YOU IMPLEMENT YOUR OWN VIRUS AND SPAM PROTECTION SOFTWARE ON YOUR LOCAL COMPUTER. SIPE SHALL HAVE NO RESPONSIBILITY FOR TROJAN HORSES, WORMS, VIRUSES, TIME BOMBS OR OTHER DAMAGING COMPUTER PROGRAMMING ROUTINES OR ENGINES CONTAINED WITHIN ELECTRONIC FILES (COLLECTIVELY, THE "VIRUSES" OR "VIRUS"). 9.2.4. NON-EXCLUSIVE SOURCE REGARDING LOSS CONTROL. THE SIPE PRODUCTS ARE NOT TO BE CONSIDERED AND NOT INTENDED BY SIPE TO BE A SUBSTITUTE FOR ALL OR PART OF YOUR OR YOUR EMPLOYER'S OTHER LOSS CONTROL PROGRAMS. THE SIPE PRODUCTS DO NOT NECESSARILY ADDRESS EACH AND EVERY POSSIBLE LOSS POTENTIAL, CODE OR OTHER STATUTORY VIOLATION, OR EXCEPTION TO GOOD PRACTICES AND PROCEDURES. FURTHER, THE ABSENCE OF COMMENT OR RECOMMENDATION ON ANY GIVEN AREA DOES NOT MEAN THE AREA IS IN COMPLIANCE WITH ALL APPLICABLE CODES AND STATUTES, IS IN CONFORMATION WITH GOOD PRACTICES AND PROCEDURES, OR IS WITHOUT LOSS POTENTIAL. THE SIPE PRODUCTS ARE INTENDED TO PROVIDE GENERAL SAFETY GUIDELINES TO YOU, YOUR EMPLOYER, AND AUTHORIZED SIPE MEMBERS, WHO HAVE SUBSCRIBED FOR THE SIPE PRODUCTS AND ARE IN GOOD STANDING ON ALL APPROPRIATE LICENSE FEES. ONLY THE FUNDAMENTALS OF SAFETY ARE DISCUSSED AND UNDER NO CIRCUMSTANCES SHOULD THE SIPE PRODUCTS BE USED AS AN EXCLUSIVE SOURCE OF INFORMATION ON THE TOPIC. 10. Limitation of Liability. EXCEPT WHERE THIS LIMITATION OF LIABILITY WOULD BE VOID OR INEFFECTIVE UNDER APPLICABLE STATUTE OR REGULATION, NEITHER SIPE NOR ITS SUBSIDIARIES, AFFILIATES, DISTRIBUTORS, DIRECTORS, OFFICERS, MEMBERS, DISTRICTS, EMPLOYEES, AGENTS, SUPPLIERS, VENDORS, LICENSORS, DISTRIBUTORS, SUCCESSORS OR ASSIGNS SHALL BE LIABLE UNDER ANY THEORY OF LAW OR EQUITY, FOR ANY CLAIM, DEMAND OR ACTION ARISING OUT OF OR RELATING TO YOUR USE OF THE SIPE PRODUCTS, OR SIPE'S PERFORMANCE OF (OR FAILURE TO PERFORM) ANY OBLIGATION UNDER THIS AGREEMENT, INCLUDING BUT NOT LIMITED TO LOST PROFITS, LOST REVENUE, LOST SAVINGS, LOST DATA, BUSINESS INTERRUPTION COSTS, DAMAGES FROM LOSS OF BUSINESS INFORMATION, SERVER DOWNTIME COSTS, LOSS OF GOODWILL OR POTENTIAL BUSINESS AS A RESULT OF THE SIPE PRODUCTS NOT BEING ACCURATE, NOT BEING VIEWABLE AT A PARTICULAR TIME, OR NOT AVAILABLE AT ALL, OR COMPUTER OR SERVER MALFUNCTION OR FAILURE, OR FOR ANY DIRECT, INDIRECT, SPECIAL, INCIDENTAL, CONSEQUENTIAL, EXEMPLARY, PUNITIVE, OR OTHER DAMAGES OR CLAIM(S) ARISING OUT OF OR RELATING TO THE USE OF, INABILITY TO USE, OR THE RESULTS OF USE OF THE SIPE PRODUCTS, WHETHER BASED IN WARRANTY, CONTRACT, TORT OR OTHER LEGAL THEORY, AND WHETHER OR NOT SIPE HAD ACTUAL OR CONSTRUCTIVE KNOWLEDGE OF THE POSSIBILITY OF SUCH LOSS OR DAMAGES AND WHETHER OR NOT SUCH LOSS OR DAMAGERS WERE FORESEEABLE. SIPE'S TOTAL LIABILITY TO YOU FOR ACTUAL DAMAGES FOR ANY CAUSE WHATSOEVER WILL BE LIMITED TO THE AMOUNT ACTUALLY PAID BY YOU FOR THE SIPE PRODUCTS. THIS LIMITATION OF DAMAGES SET FORTH HEREIN CONSTITUTES A FUNDAMENTAL ELEMENT OF THE BASIS OF THE BARGAIN BETWEEN SIPE AND YOU. 11. Indemnification. You shall indemnify, defend and hold harmless SIPE, its subsidiaries, affiliates, distributors, directors, officers, members, districts, employees, agents, suppliers, vendors, licensors, distributors, successors and assigns, from and against any and all claims, threats, suits, penalties, costs and expenses (including without limitation, reasonable attorneys' fees, costs and disbursements) that arise directly or indirectly out of (i) your breach of this Agreement; (ii) your use or improper or illegal use of the SIPE Products, including but not limited the transmission of unsolicited bulk e-mail that refers to SIPE, the SIPE Products or you; (iii) the sharing of your Password with others, a third party's accessing of the SIPE Products or any documents located on your hard drive and/or making unauthorized or detrimental changes to the information contained there; (iv) any misuse, fraud or violation of any third party's privacy rights; and (v) your infringement of the intellectual property rights of SIPE and/or its licensor(s) in or related to the SIPE Products. For purposes of this Section 11, improper use shall include, but not be limited to, violations of applicable anti-spamming laws or any violation of any laws and statutes regulating the use of Internet Web sites, posting information that contains vulgar or questionable language, that may be illegal under federal or state laws, or may be illicit or pornographic in nature. All such notices to you shall be addressed to the address provided to SIPE in the Services Contract. Any party hereto may change its address for purposes of this paragraph by written notice in the manner provided above. 13. Arbitration. Except for any claim seeking the exercise of the injunctive or equitable powers of a court of competent jurisdiction, any action to enforce or interpret this Agreement, or to resolve disputes with respect to this Agreement, shall be settled by arbitration in accordance with California Code of Civil Procedure Sections 1280 through 1294.2 and any successor provisions thereto. The provisions of California Code of Civil Procedure Section 1283.05 regarding the right to take depositions and obtain discovery shall apply to the arbitration. Arbitration shall be the exclusive dispute resolution process. Any party may commence arbitration by sending a written demand for arbitration to the other parties. Such demand shall set forth the nature of the matter to be resolved by arbitration. The place of arbitration shall be in the County of San Luis Obispo, California. The substantive law of the State of California shall be applied by the arbitrator to the resolution of the dispute. The parties shall share equally all initial costs of arbitration. The prevailing party shall be entitled to reimbursement of attorneys' fees, costs, and expenses incurred in connection with the arbitration. All decisions of the arbitrator shall be final, binding, and conclusive on all parties. Judgment may be entered upon any such decision in accordance with applicable law in any court having jurisdiction thereof. The arbitrator (if permitted under applicable law) or such court may issue a writ of execution to enforce the arbitrator's decision. 14.1. Force Majeure. Neither party shall be deemed in default or otherwise liable under this Agreement if the inability or failure to perform its obligations under this Agreement arises out of causes beyond the control and without the fault or negligence of said party. Such causes may include, but are not restricted to, fire, earthquake, flood, unusually severe weather, epidemic, quarantine restrictions, accident, explosion, casualty, strike, lockout, labor controversy, riot, civil disturbance, insurrection, sabotage, transportation delay, shortage of raw materials, shortage of energy, machinery or equipment, act of public enemy, embargo, war, acts of God or the public enemy, acts of the government (municipal, county, state or national) in its sovereign or contractual capacity, acts of the judiciary, any ordinance or law, or any executive, administrative or judicial order (which order is not the result of any act or omission which would constitute a default hereunder), or similar cause beyond that party's control. If such event continues for more than thirty (30) calendar days, either party may terminate the Agreement upon written notice to the other party. 14.2. Authority. You represent that you maintain full authority to execute this Agreement and thereby bind the applicable party to all covenants, duties and obligations contained herein. 14.3. No Assignment or Transfer. You may not assign or transfer this Agreement or any rights or obligations hereunder without prior written consent of SIPE. Any such attempted assignment or transfer without SIPE's consent will be null and void. SIPE may terminate this Agreement in the event of any such attempted assignment or transfer. Notwithstanding the foregoing, the merger, purchase or consolidation of you or your business into, by, or with any other entity shall not terminate this Agreement. The provisions of this Agreement shall bind the surviving parties. 14.4. Export Requirements. You may not export or re-export, directly or indirectly, the SIPE Products or any copy or adaptation in violation of any applicable laws or regulations. Without limiting the generality of the foregoing, hardware, software, technology or services provided under this Agreement may not be exported, re-exported, transferred or downloaded to persons or entities listed on the U.S. Department of Commerce Denied Persons List, Entity List of proliferation concern or on any U.S. Treasury Department Designated Nationals exclusion list, or to parties directly or indirectly involved in the development or production of nuclear, chemical, biological weapons or in missile technology programs as specified in the U.S. Export Administration Regulations (15 CFR 744). By accepting this Agreement, you hereby certify that you are not located in (or a national resident of) any country under U.S. economic embargo, not identified on any U.S. Department of Commerce Denied Persons List, Entity List or Treasury Department Designated Nationals exclusion list, and not directly or indirectly involved in the development or production of nuclear, chemical, biological weapons or in missile technology programs as specified in the U.S. Export Administration Regulations. 14.5. Governing Law and Venue. This Agreement shall for all purposes be governed by and interpreted in accordance with the laws of the State of California, USA, to the exclusion of any conflict of law principles. Any legal suit, action or proceeding arising out of or relating to this Agreement shall be brought before the applicable courts in San Luis Obispo County, California, USA, and each party hereto irrevocably submits to the jurisdiction and venue of any such court in any such suit, action or proceeding and waives any right which it may have to transfer or change the venue of any such suit, action or proceeding, except that in connection with any suit, action or proceeding commenced in a state court, each party retains whatever right it may have to remove such suit, action or proceeding to federal court in California. The parties agree that the Uniform Computer Information Transaction Act (or any statutory implementation thereof) and the United Nations Convention on Contracts for the International Sale of Goods will not apply with respect to this License or the parties' relationship. 14.6. Severability. If any term or provision herein is found or deemed by a court of competent jurisdiction to be illegal or unenforceable, they shall be severable from the remainder of this Agreement and shall not cause the invalidity or unenforceability of the remainder of this Agreement. 14.7. Waiver. The failure of either party to require strict performance by the other party of any provision hereof shall not affect the full right to require such performance at any time thereafter, nor shall the waiver by either party of a breach of any provision hereof be taken or held to be a waiver of the provision itself. 14.9. Attorneys' Fees. If any legal proceeding, arbitration or other action is brought or threatened for the enforcement or interpretation of this Agreement, or because of an alleged dispute, breach, default or misrepresentation in connection with any of the provisions of this Agreement, and the prevailing party in any such action(s) should incur any legal fees, including, but not limited to, attorneys' fees, paralegal fees, expert witness fees and other similar costs, the successful or prevailing party or parties to any such dispute or action shall be entitled to recover their reasonable attorneys' fees and additional legal costs incurred, together with any other relief to which they may otherwise be entitled, as determined by an arbitrator, judge at trial, or upon appeal or petition. 14.10. Survival. Sections 2, 3, 5.3, 9, 10, 11, 13 and 14 will survive the termination of the License granted under this Agreement and expiration or termination of this Agreement. 14.11. Headings. All headings in this Agreement are inserted for your convenience and ease of reference and are not to be considered in the construction or interpretation of any provision of this Agreement. Last Updated on May 8, 2007. How does SIPE use my information? Does SIPE share my information with third parties? How does SIPE protect children's privacy online? How does SIPE protect and use client information? When you register on our Web site as a user of our online training programs, we collect personal information, such as your name, electronic mail address, phone number, job title and employer's name. We save this information when you log into a program available on our Web site. 2. How does SIPE use my information? We use the information you provide to enable us to activate your account and to deliver the risk management and safety program(s) you requested. Our online database maintains a record of all users who have registered for and used our programs. We use your electronic mail address to send you information about our online services, including such things as new features, new programs or system updates and information about other technical issues related to the Web site, and we may contact you by phone or electronic mail to respond to your inquiries and/or requests. 3. Does SIPE share my information with third parties? SIPE will not share your information with any other third party for marketing purposes. However, SIPE will share information about your activity on our Web site and the program(s) you view with your employer and/or the joint powers authority with which your employer is associated for reporting purposes. Notwithstanding the foregoing, SIPE reserves the right to disclose information about you as required by law, in response to legal process and law enforcement requests, and as necessary to protect the property, interests and rights of SIPE, its affiliates, and others. You may update your personal information by logging into your user account and then selecting "Edit Personal Information" at the bottom of the page. 5. How does SIPE protect children's privacy online? SIPE is concerned about the safety of children when they use the Internet and our Web site. Children (persons under the age of 18) are not eligible to use our Web site unless you have the prior consent of your parents or guardians and are Web using the site in conjunction with an approved school activity. 7. How does SIPE protect and use client information? We are committed to protecting the security and integrity of our client information, and we use procedures designed for this purpose. For example, we limit employee access to client information to those who have a business reason to know this information, and we maintain policies and procedures covering the physical security of workplaces and records. We believe your data must be protected against loss and unauthorized access. The Internet service provider who hosts our Web site uses procedural and technical safeguards (such as backup files, virus detection software, firewalls and other computer software and hardware) to protect your personal information against loss or theft as well as unauthorized access and disclosure to protect your privacy, including encryption, firewalls and routers. We strongly recommend, however, that you do not disclose your login information or password to anyone. SIPE will never ask you for your password in any unsolicited communication (including unsolicited correspondence such as letters, phone calls or e-mail messages). While we and our Internet service provider employ many different security techniques to protect such data from unauthorized access by users inside and outside SIPE, perfect security does not exist on the Internet and SIPE does not ensure or warrant the security of any information you transmit to us on our Web site. 9. What about frames and links to other Web sites and services? BY CONTINUING TO USE THE SERVICES, YOU ARE INDICATING YOUR AGREEMENT TO BE BOUND BY THE TERMS OF THIS AGREEMENT, INCLUDING THE WARRANTY DISCLAIMERS, LIMITATIONS OF LIABILITY AND TERMINATION PROVISIONS BELOW. IF YOU DO NOT AGREE TO SUCH TERMS AND CONDITIONS, SIPE IS NOT WILLING TO PROVIDE YOU WITH ACCESS TO THE SERVICES, AND YOU SHOULD IMMEDIATELY DISCONTINUE YOUR USE OF THE SERVICES. SIPE may modify this Agreement from time to time in its sole discretion and without notice to you. You should review this Agreement periodically to ensure familiarity with its then-current terms and conditions. Your continued use of the Services shall constitute your acceptance of this Agreement and your continued use of the Services following any modification of this Agreement shall constitute your acceptance of such modifications to this Agreement. In accordance with the terms and conditions of this Agreement, SIPE grants you a non-exclusive, limited, non-transferable license to use the Services for your personal, non-commercial use. The Services (and the content and information included therein) are protected by copyright pursuant to United States laws and international treaties and are owned or licensed by SIPE or the Information Provider(s) credited. You shall abide by all copyright notices, information, or restrictions contained in any content or information accessed through the Services. You may not reproduce, retransmit, disseminate, sell, distribute, perform, display, publish, broadcast, circulate, create derivative works from, or commercially exploit the Services (including the content and information made available through the Services), in whole or in part, in any manner, without the prior written consent of SIPE, nor use the content or information made available through the Services for any unlawful purpose. You may not replay for commercial purposes, including in any seminar or instructional context whatsoever for which money is paid, video and/or audio materials copyrighted by SIPE. Nothing contained in this Agreement shall be construed as conferring any right in any copyright, trademark, or other intellectual property of SIPE to you. Violation of this policy may result in infringement of the intellectual property and contractual rights of SIPE, the Information Providers and/or third parties, which is prohibited by law and could result in substantial civil and criminal penalties. No part of these materials may be copied, reproduced, uploaded, posted, transmitted or distributed in any form or by any means, electronic or mechanical, now known or hereafter invented without the prior written consent of SIPE and/or the Information Provider. Notwithstanding the foregoing, you may download or copy (one machine readable copy and one print copy per Web page) content or information displayed on the Services for your personal, temporary, non-commercial viewing only, provided that you maintain all copyright and other notices contained therein. You agree to accept sole responsibility for: (1) any use of Internet facilities conducted or permitted by you or your client(s); (2) the conduct of any business, advertising, marketing or sales in connection therewith; and (3) any negligent or illegal act or omission of you or your agents, contractors, servants, employees, or other users. When retrieving information from the Services, you are expressly prohibited from: (1) using or attempting to use spiders, robots, intelligent agents, or any other extraction or navigation search except for a normal browser; (2) aggregating, copying or duplicating any of the materials or information available from the site except for the small amount of materials and information temporarily required for an ordinary single use of the Web site; or (3) accessing data not intended for such user. Hyperlinks and Frames on SIPE Web Site. We may from time to time, directly or indirectly, implement frames, provide hyperlinks ("links") to or accept links from Web sites of third parties. SIPE does not control or maintain the material presented by other persons in their Web sites. The inclusion of any frame or link on our Web site does not imply an association or relationship between SIPE and the person or entity sponsoring the framed or linked site and does not constitute or imply an endorsement, approval or sponsorship of the framed or linked site by SIPE, or the endorsement, approval or sponsorship of SIPE by the sponsor of the framed or linked site. The frames and/or links do not imply legal authority to use any protected rights of others reflected in the framed or linked site(s). We do not vouch for or assume any responsibility for the content, accuracy or completeness of the material presented directly or indirectly in framed or linked sites. If you use any of the links, you will leave our Web site. 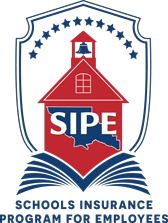 Linking to SIPE Web Site(s). or Use any SIPE trademarks or logos without SIPE's prior written consent. SIPE has no duty to edit or review materials submitted by users. SIPE and the Information Providers give no assurances whatsoever regarding such information or materials. If you submit any information to SIPE's Web site, you agree not to: (1) post or transmit anything that is defamatory, abusive, libelous, unlawful, obscene, threatening, harassing, fraudulent, pornographic, or harmful, or that could encourage criminal or unethical behavior; (2) post or transmit any pyramid schemes, chain letters or conduct gambling; (3) post or transmit anything that violates the copyright or intellectual property rights of any person or entity; (4) post or transmit a virus or any other harmful component; or (5) contact other users of SIPE's Web site through unsolicited e-mail, telephone calls, mailings or any other method of communication. Any such materials may be removed by SIPE at any time for any reason. If, through the use of the Service, you decide to submit, enter or transmit information or materials of any kind, you are solely responsible for ensuring that you may do so and that such information and materials can be accessed, used, copied, distributed and adapted by other users of the Services (including SIPE and its Information Providers) without liability or restriction. You agree to indemnify SIPE and its Information Providers from any damage, loss, cost or expense which may be incurred by SIPE as a result of the material you link, upload, post or transmit to the Web site. All concepts, ideas, comments, manuscripts, illustrations and all other materials disclosed or offered to SIPE on or in connection with its Web site are submitted without any restrictions or expectation of confidentiality. SIPE shall have no financial or other obligations to you when you submit such information, nor shall you assert any proprietary or moral right of any kind with respect to such submissions. SIPE shall have the right to use, publish, distribute, transmit, download, upload, post, display or otherwise distribute your submissions in any manner without notice or compensation to you. Unless otherwise noted, all materials, including but not limited to the SIPE Web site, all articles, text, graphics, logos, images, illustrations, designs, icons, photographs, video clips, audio clips, all menu pages, underlying HTML code, and software that is part of the Web site, are protected under copyright laws and are the trademarks, trade dress and/or other intellectual properties owned, controlled or licensed by SIPE, the Information Providers, or is otherwise part of the public domain. Without prior written consent, you may not republish, frame, retransmit, modify or create derivative works of any material contained in SIPE's Web site on another Web site or in materials of any other entity. Further, the computer code created by or for SIPE to generate its Web site is protected by copyright and any copying or adapting of such code is strictly prohibited. You may not use any data mining, robots, or similar data gathering and extraction methods in connection with SIPE's Web site. SIPE may discontinue or change the Services, or their availability to you, immediately, in its sole discretion, at any time without cause. SIPE may terminate this Agreement and your access to and use of the Services, or any portion thereof, immediately, in its sole discretion, at any time without cause. Not Exclusive Source of Information regarding Loss Control. SIPE's Services are intended to provide general safety guidelines to clients who have subscribed to its Services. Only the fundamentals of safety are discussed and under no circumstances should SIPE's Services be used as an exclusive source of information on any particular topic. Loss control is a daily responsibility of your district's or business affiliation's management. SIPE's Services and other loss control efforts are not to be considered and not intended to be a substitute for any part of your District's loss control programs. SIPE's Services do not necessarily address each and every possible loss potential, code or other statutory violation, or exception to good practices and procedures. Further, the absence of comment or recommendation on any given area does not mean the area is in compliance with all applicable codes and statutes, conforms with the then-current good practices and procedures, or is without a loss potential. You understand and agree that your use of the Services is at your sole risk. THE SERVICES AND THE INFORMATION PRESENTED ON SIPE'S WEB SITE ARE PROVIDED ON AN "AS-IS" BASIS WITHOUT ANY REPRESENTATION OR WARRANTY OF ANY KIND INCLUDING, BUT NOT LIMITED TO, MERCHANTABILITY, FITNESS FOR A PARTICULAR PURPOSE, SUITABILITY, RELIABILITY, NONINFRINGEMENT, RESULT OR OUTCOME. ANY REPRESENTATION OR WARRANTY THAT MIGHT BE OTHERWISE IMPLIED IS EXPRESSLY DISCLAIMED BY SIPE AND THE INFORMATION PROVIDERS. SIPE does not represent or warrant that information and content provided in connection with the Services is or will be always up-to-date, complete, accurate or available for viewing. The Services include facts, views, opinions and recommendations of individuals and organizations deemed of interest. Neither SIPE nor the Information Providers guarantee the accuracy, completeness or timeliness of, or otherwise endorses, these views, opinions or recommendations. NEITHER SIPE NOR ANY OF ITS INFORMATION PROVIDERS, DISTRICTS, MEMBERS, SUBSIDIARIES, AFFILIATES, SERVICE PROVIDERS, LICENSORS, OFFICERS, DIRECTORS, EMPLOYEES OR AGENTS SHALL BE LIABLE FOR ANY DIRECT, INDIRECT, INCIDENTAL, SPECIAL OR CONSEQUENTIAL DAMAGES ARISING OUT OF OR RELATING TO THIS AGREEMENT, YOUR USE OF THE WEB SITE, ACCESS TO OR INABILITY TO ACCESS THE WEB SITE, USE OF OR RELIANCE ON THE INFORMATION IN OR THROUGH THIS SITE, OR RESULTING FROM THE USE OR THE INABILITY TO USE THE SERVICES, INCLUDING BUT NOT LIMITED TO DAMAGES FOR LOSS OF PROFITS, USE, DATA OR OTHER INTANGIBLE DAMAGES, EVEN IF SUCH PARTY HAS BEEN ADVISED OF THE POSSIBILITY OF SUCH DAMAGES. NEITHER SIPE NOR ANY OF ITS INFORMATION PROVIDERS, DISTRICTS, MEMBERS, SUBSIDIARIES, AFFILIATES, SERVICE PROVIDERS, LICENSORS, OFFICERS, DIRECTORS, EMPLOYEES OR AGENTS SHALL BE LIABLE TO YOU OR OTHERS FOR LIABILITY OR DAMAGES UNDER CONTRACT OR TORT THEORIES OR ANY DAMAGES CAUSED BY VIRUSES, "TROJAN HORSES," "WORMS," "TIME BOMBS," OR ANY OTHER DAMAGING COMPUTER PROGRAMMING ROUTINES OR ENGINES CONTAINED WITHIN ELECTRONIC FILES OF THIS WEB SITE OR ANY FRAMED OR LINKED SITE, REGARDLESS OF PRIOR NOTICE TO SIPE OR ITS INFORMATION PROVIDERS. IN NO EVENT SHALL SIPE BE LIABLE FOR DAMAGES TO YOU OR ANY THIRD PARTY FOR ANY DEFICIENCY, ERROR OR INTERRUPTION IN THE SERVICES. Unless statute mandates a lesser period, any action on any claim against SIPE and/or its Information Providers must be filed by the user within one (1) year following the date the claim first accrued or shall be deemed waived. This Agreement constitutes the entire agreement between you and SIPE regarding the use of the Services on SIPE's Web site. This Agreement supersedes all previous and contemporaneous oral and written agreements between you and SIPE regarding your use of the Services. SIPE's Web site (excluding linked sites) is controlled by SIPE from its offices within the State of California, U.S.A. By accessing the Web site, you and SIPE agree that all matters relating to your access to, or use of, the Web site shall be governed by the statutes and laws of the State of California, without regard to conflicts of laws principles. You and SIPE also agree and hereby submit to the exclusive personal jurisdiction and venue of the Superior Court of San Luis Obispo County and the United States District Court for the Central District of California with respect to such matters. SIPE makes no representation that the Services (and the content and information included therein) are appropriate for use in other locations. Those who choose to access the Services from locations outside California shall be responsible for compliance with local laws, if and to the extent local laws are applicable. If, for any reason, a court of competent jurisdiction finds any provision of this Agreement, or portion thereof, to be unenforceable, that provision shall be enforced to the maximum extent permissible so as to effect the intent of SIPE as reflected by that provision, and the remainder of this Agreement shall continue in full force and effect. Any failure by SIPE to enforce or exercise any provision of this Agreement of Use or related rights shall not constitute a waiver of that right or provision. The headings used in this Agreement are inserted only for convenience and ease of reference, and are not to be considered in the construction or interpretation of any provision of this Agreement. For additional information about this Web site, please contact Garth Maijala by phone at (877) 460-0414 or by mail at: SIPE, Attn: Garth Maijala, 7455 Morro Road, Atascadero, CA 93422.